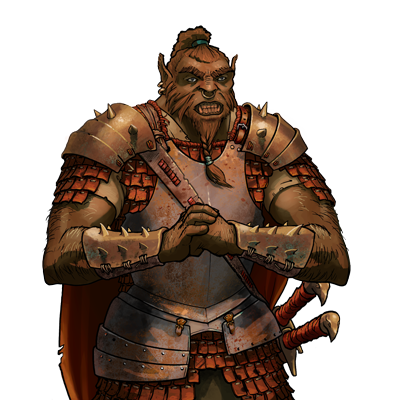 The knaves are slightly less solid in stature than the Grunts, but still formidible fighters. Although most labour can be and is in fact done by goblins, projects that must be completed on a stricter time-table or under greater threat, such as seizure of timber or the construction of a front-line fortress, are carried out by the stronger hands of these orcs. This type is seen more frequently in regions more firmly under orcish control, such as the Northlands.